Some (a few) may know that way back I made a topic on some sheet music transcriptions I posted, mainly for TLoS. Well, since that topic's closed, I've now made this one to show you another thing I did, this time for a track from Spyro Orange/Fusion: The Cortex Conspiracy! This is more a(n orchestral) score than something you can take away at a piano and play, but it makes for a good HQ version of the original track. I'll admit, of all the Spyro music I could have looked at, this was an odd choice (I probably got it stuck in my head whilst looking for inspiration for my Fan Game from the only other 2D Spyro game), but its still quite likable. I might do more of these in the future if I'm bored enough . I've still got an old piano version of the Skylander's theme if people are interested. A Piano Version of Cloudy Domain! Judging from the comments on the video's I've been using to transcribe this, this track is pretty popular (which I agree with)! I might make a Synthesia version of this later - people seem to enjoy those. For this vid, the footage was stole-, I mean, requisitioned from CrystalFissure's playthrough of the level (with his permission, of course). If anyone's more interested in a Synthesia version of this arrangement then I have provided! The above footage was supplied by RubbberRabbbit2 and his money since I don't have the 'unlocked' version of Synthesia. I think I already commented on your Reddit post, but I wanted to say thank you again for making this! 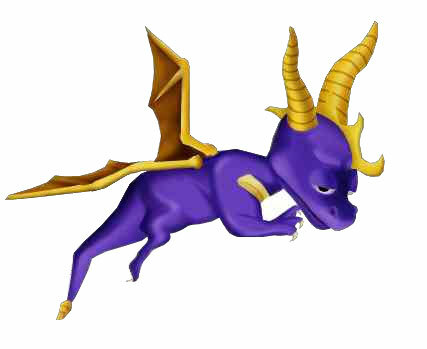 A Hero's Tail was my first Spyro game, and Cloudy Domain has always been my favourite level (especially because of the music). I haven't played piano for a while but this is something that might get me back into it! Oh, wow, that's incredible! :-) You should be very proud! I think Ima gonna post a few more of these music arrangement / covers / transcription thingies in future. Currently I've got two in the pipeline with one nearing completion. Currently its a WIP and the opening is a little different to what I have now but sounds pretty similar nonetheless.